So, how to go about describing this frankly monstrous release from one of the most buzz worthy groups to emerge in recent years, Problem Child. Words such as ‘Hype’, ‘Rowdy’ and ‘Original’ hardly do justice to the groups début, ‘Confessions Of A Normal Human Being’ , a 16 track monster of pounding digital production (Courtesy of Sumgii) and razor sharp, witty and sometimes absurd rhymes (Courtesy of LDZ veterans Dubbledge and Dabbla, and resident Tomb Crew MC Illaman). This is one of the most original albums in a long time, and takes a completely fresh approach. Not since Fallacy’s ‘Black Market Boy’ has the melting pot of UK MC led music been so masterfully represented. Grime, Dubstep, Garage, Reggae and Jungle, as well as Hip Hop and Rap, influences can be found throughout the project both in the bass heavy production and the rapid fire flows and slang that are heavily present in all three MC’s bars. First and foremost this is music to party to, tracks like ‘Sheep’ and ‘Fully Fledged’ will destroy any rave or festival stage with ease, and the trio of rappers often reference their party life style and catalogue their misadventures with booze and substances (most notably on ‘Woddle’, an ode to intoxication ). However, this is not the same as saying that they are glorifying or promoting this lifestyle, they are simply telling the listener that this is how they live their lives. 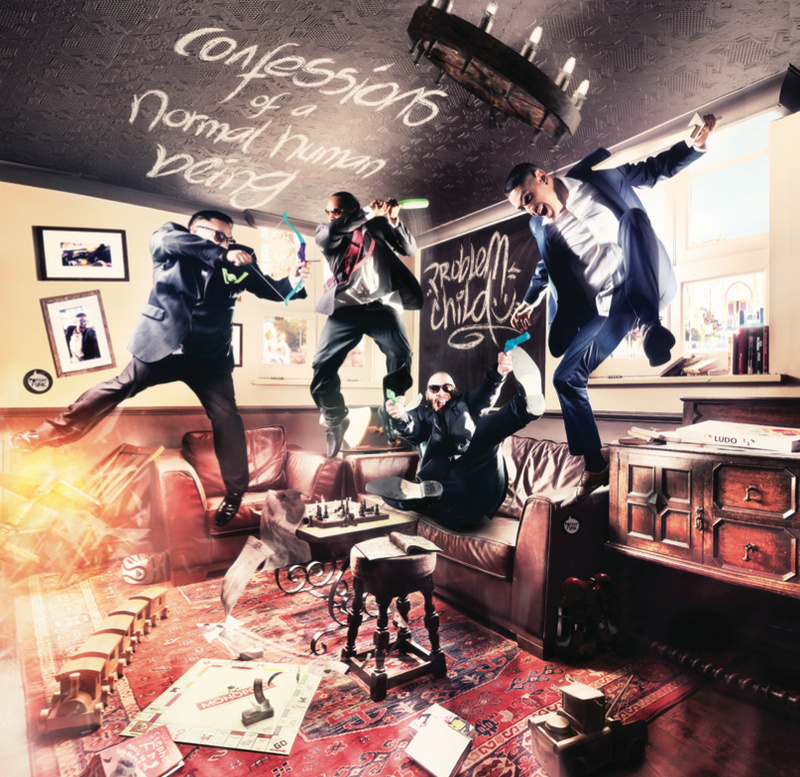 The album has a distinctly UK feel about it, and the album is full of references to the absurdities of living here, most strongly on the title track ‘Confessions of a Normal Human Being’, and the CD only bonus track ‘Your Estates Dead’. As a fan of Grime this album is something special in as much that the crew combine the raw energy and aggression of Grime with the razor sharp wit and on point lyricism often lacking from the genre. There is no talk of killing (unless its killing a beat), instead you are more likely to hear tales of drunken antics, dis illusion with our society, or straight up heavy word play and flows. The living room destruction on the cover sums up rather nicely how you are likely to react to this release, and i for one am very interested to see what is to come next from this dynamic and highly original crew.